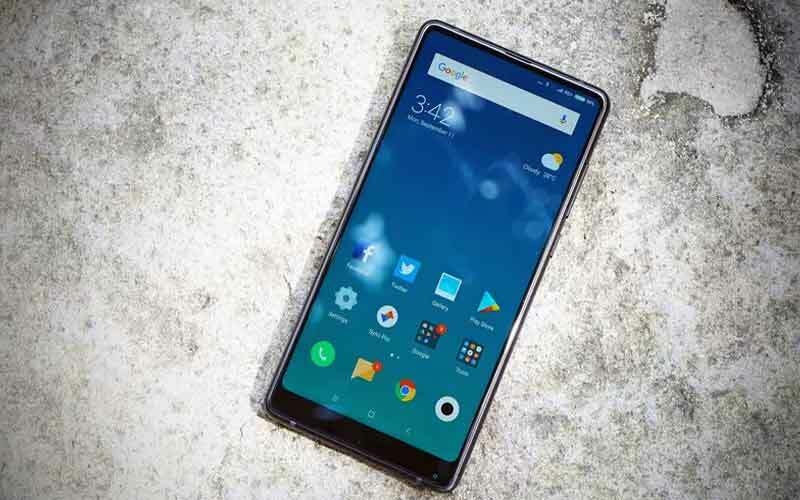 Xiaomi has started the concept of bezel-less phones last year and now the phone has the second version of it in the market which company has recently launched in China. While launching the device company has promised to bring the device slowly to the global market as well. As a part of global rollout company is all set to launch the device in India on 10th of October. Xiaomi VP Manu Kumar Jain has tweeted the launch date for the second edition of Mi Mix, Xiaomi's bezel-less smartphone. The phone will launch on October 10 in New Delhi. Mi Mix was a concept phone, which sported a ceramic body, bezel-less display and had a selfie camera at the bottom of the device. But with Mi Mix 2, Xiaomi plans to go bigger. If you compare the first generation of Mi Mix on design front then you will find that Xiaomi has further reduced the bottom bezel by around 12 per cent on the Mi Mix 2. The phone has a four-sided curved body that holds an edge to edge display at the front like the iPhone X. Despite an increase in screen-to-body ratio, Mi Mix 2 is about 11.5 per cent lighter, 2.5 per cent thinner and 11.9 per cent smaller in size compared to the original Mi Mix. Mi Mix 2 is based on Snapdragon 835 chip with 6GB RAM and 64GB storage. But its 5.99-inch display makes it one of a kind smartphone in its clan. It has an 18:9 aspect ratio like the Galaxy S8 or the LG G6, but doesn't have a top bezel at all. Mi Mix 2 features a 12-megapixel camera in the rear carrying a Sony IMX382 sensor having the larger pixel size of 1.25um and 4-axis image stabilization. At the front, the phone has a 5-megapixel shooter, but it is placed at the bottom and the phone needs to be rotated while taking a selfie. Although the final prices of the device in India are yet to be announced and on 10th October it will be official but if you see the prices in China, Mi Mix 2 has a starting price of RMB 3299 (about Rs 32,500) for the 6GB/64GB variant. The 6GB/128 GB variant is price at RMB 3599 (about Rs 35,500) while the 6GB/variant comes at RMB 3999 (about Rs 39,500). The special edition ceramic unibody variant sells for a premium of RMB 4699 (roughly Rs 46,000).